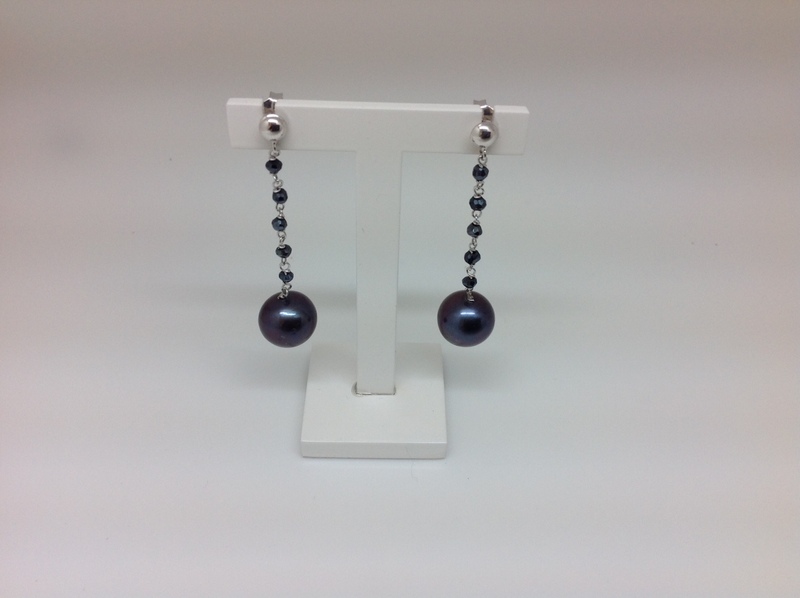 EARRINGS in white gold rhodium-plated 18 k gold and NATURAL Pearl Grey. IMPRESSIVE ARTICULATED WITH MOVEMENT. CLOSING PRESSURE. MEASURES of long 47 mm. And the size of the Pearl is of 11.3 mm. DECORATED with SPINEL stones in the same COLOR.